Fort Lauderdale Media Associates, Inc. is a custom publishing, advertising and marketing company based in Fort Lauderdale specializing in providing highly targeted, custom-designed print and digital publications and online communications programs for local businesses, associations and professional organizations. As publisher for the very best neighborhoods in Fort Lauderdale, each publication we produce combines contemporary magazine layout & design with the ‘up close and personal’ touch of locally focused and locally relevant editorial directly from our neighborhood, city and business leaders. George is the president and founder of Fort Lauderdale Media Associates, Inc., and personally directs all the company's projects and publications. 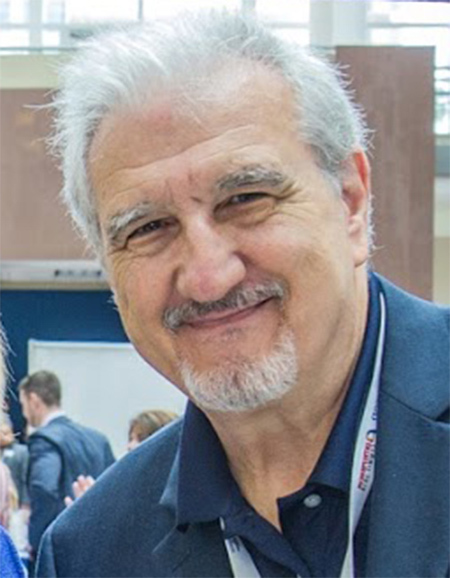 With 25+ years of award-winning, international custom publishing experience for clients such as the Port of Los Angeles, Port of Miami, Port Everglades, the American Association of Port Authorities (AAPA) and Broward Health, he brings extensive publishing, marketing and business development expertise to FLMA publications. 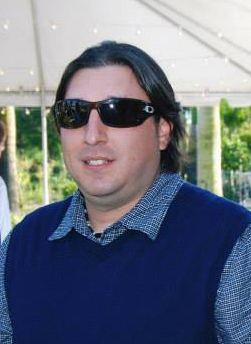 Since selling his former port publishing company to a major maritime industry publisher in 2006, he’s turned to local publishing projects and serves as newsmagazine publisher for Fort Lauderdale's highest-profile neighborhood HOAs and civic associations, including Rio Vista, Harbor Beach, Coral Ridge Country Club Estates, The Landings & Bay Colony, Victoria Park and the Las Olas Boulevard Association. George also has a keen interest in Fort Lauderdale city affairs and was a member of the city's Economic Development Advisory Board from 2011-2014. Ann joined husband and publisher George Mihaiu in Fort Lauderdale Media Associates, Inc. in late 2013 after spending over seven years in the not-for-profit sector with PACE Center for Girls – Broward as Development Coordinator for Fundraising. Prior to PACE, she was with AT&T Wireless for 10+ years in retail sales, dealer training & development and retail store development. 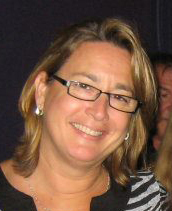 Ann serves as chief administrative executive for FLMA with responsibility for all billing and invoicing, as well as local ad sales, civic affairs and business development as needed. With her Fortune 500 administrative experience and local connections throughout the Fort Lauderdale philanthropic and not-for-profit community, she is a great asset to all FLMA publication programs as well as to clients and customers. Meet Jenn Nayak, Managing Editor of LAS OLAS BOULEVARD & ISLES MAGAZINE and editorial consultant for FLMA's local neighborhood publications. Jennifer brings a unique blend of local business, branding and PR expertise from her background in executive recruitment, outreach, small business marketing and communications. In addition to her editorial contributions to the publications, Jennifer is an advocate for special needs inclusion through community programs and arts education. An avid traveler, art collector and out of practice yogi, Jenn lives in Harbordale and is the proud Mum of two boys, one with Autism. Follow her adventures on Facebook @LasOlasLocal and gain and insider’s view of downtown Fort Lauderdale living and culture. James Polo is the creative director and designer of Fort Lauderdale Media Associates publications, continuing a working relationship with publisher George Mihaiu that began in 2005 when James was hired by Mihaiu as staff graphic designer for Seaports Publications Group. James remained with Seaports Group until 2012 when the company was bought out and he left to pursue his own independent design firm, ContactPolo design. He rejoined Mr. Mihaiu in 2013 and continues as designer and Creative Director for all Fort Lauderdale Media publications. His talents also reach into the South Florida film industry, where he serves as a graphics consultant to several leading film and video production companies in Miami.